We first met Chris and Gen when we sold our home in Rockland in 2014. Chris, Gen and their team provided outstanding support during the sale process, which included suggestions on what we needed renovate or stage in order to make our home competitive in what was at the time a depressed market. The end result was that of the three comparable homes on our street, ours was the only one that sold that Spring. During that time my wife and I learned something critical to selling a home - be willing to put in an effort, and listen to your realtor! As a result of the relationship built four years before, on learning that we would be moving back to the Ottawa Valley in Spring of 2018, we called Chris and Gen. As our target area for purchase was the very competitive market of Ottawa’s west side, Chris and Gen put together a search tool that showed a constantly updated short list of properties that matched our wish list. Once we found the one we wanted, Chris supported us through the negotiation process to get our offer across to the seller very quickly - important in a market that saw home listed and sold within two to three day windows, and stiff competition between potential purchasers. The end result was that we were successful in finding a lovely home in a nice neighbourhood. Chris and Gen have done a wonderful job of helping us sell in a tough buyer’s market, and buy a nice home in a seller’s market. If we had to do it again, I would want them as my realty team. We highly recommend the Chris and Gen team for anyone looking to sell their home. They went above and beyond to assist us with preparing and getting top dollar for our house. 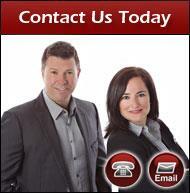 Chris and Gen understand the local housing market and are knowledgeable of the selling process. Within 21 days our home was sold. We thank the Chris and Gen team for their excellent and professional service. Thank you so much for all of your help throughout our house hunting trip and our 1st time home buying adventure. We will forever be greatful!! Exceptional Team, very caring and efficiant. When moving or selling one's home which is a very emotional decision, Gen and Chris were extremely supportive. This special couple compliment each other and go beyound the norm. I have highly recommended this dedicated duo to family and friends. Their thoughtfulness was much appreciated during a traumatic time in my life. Thank you for helping us sell our home in 16 days, in a slow market. You are wonderful agents and all your efforts and hard work were greatly appreciated. We are definitely recommending you to all our friends and family. ''Ma femme et moi avons engagé l'équipe de Chris and Gen pour vendre notre première maison au début 2012. Sachant que c'était une étape intéressante et stressante, Gen et Chris nous ont rassuré au sujet du processus. Ils étaient d'une grande aide du début à la fin. Autant du côté de la planification de la vente de la décoration, des conseils et de l'aide pour les rénovations et de la négotiation lors de la vente. Chris et Gen ont su maintenir notre confiance et le calme dans un temps rempli d'émotions. A une période ou le marché n'était pas aussi actif que par le passé, nous avons pu obtenir des rencontres chaque fois qu'on l'a demandé et ils étaient prêts avec des recherches de comparables, des études de marché et des plans d'action pour aider la vente de notre maison, tout en respectant la valeur de celle-ci et notre prix désiré. Doug and I wanted to let you know that you were a true professional and a great asset to us in our home buying efforts and success here in Rockland. We truly appreciated all the efforts you put forth on our behalf, going the extra mile, and stepping up to ensure our best interests were always front and center. The late hours you put in for us at the beginning when we were showing interest in moving to Rockland from Toronto and sending us all the details we required to make our final decision, we have never regretted. It was a big move for us and one we are happy we made. We must also say that, Genevieve, you made us feel more like family, than a client/agent relationship and for that we are truly grateful. We consider ourselves so very lucky to have someone, such as yourself, who constantly demonstrated the utmost professionalism, while making us feel so welcome and never making us feel we were a bother with all of our questions. You continue to keep our best interests always your number one priority, ensuring we are genuinely happy with all of our decisions. We would highly recommend you to all of our friends and to anyone reading this testimonial. The choice to choose you as their agent is one no one would ever regret. They would be the lucky ones, as we have been and are! Our deepest thanks and appreciation. Thank you both so much for the work you did for me when I purchased my home. You have a great team and offer a very helpful and professional service. I really recognize and appreciate the work you did for me. The advice and service you provided was excellent and much appreciated. The personal website, the regular updates and market information, the attention to detail all wrapped up with friendly and pleasant service made the purchase of my home a wonderful experience. Thank you for going above and beyond to accommodate me. I would recommend the Chris & Gen team to anyone looking to sell or purchase a home! I have had the pleasure of working with Chris when it was time to buy my first place. He is professional, honest and caring. He was there to respond to the many questions I had in regards to buying my first home and was able to make my buying experience smooth and positive. I would strongly recommend Chris to anyone looking for a Real Estate Agent! I would like to extend my sincere appreciation, with the sale of our home! For me to verbally say Thank You, just doesn't seem to be enough! After the passing of my Life Partner, I knew I could no longer live in our home! It would be a frightening transition for me, alone! How would I do this? After some careful research, I called you, Chris. I was thrilled, to speak to an actual person and not an answering machine. We had set up a time to meet and discuss my options further. The appointment was for the next day. You arrived with your wife, Genevieve. A short time later, I was feeling very comfortable. You made it easy for me to understand the logistics of selling our home. To say that you both were empathetic and understanding and cooperative, would be an understatement! By the time you both left, I knew I had made the right decision. I wanted you to be my agents, and sell our home. The sign was to go on the lawn! There would be unforeseen events that would occur during this process! Throughout that time, you were there assisting and guiding me all the way. The patience and understanding you displayed, was above and beyond anything I would have expected. Chris and Gen, you've truly made this transition of my life so much easier. I am grateful to have met you and chosen you as my real-estate agents, during this time. Thank You for every thing!!! When I purchase my next home, you’re the ones I want! When someone wants to sell or buy a home, I will DEFFINITLY refer them to you! If there were more genuinely caring people like you both, life's transitions would be much easier. Thank You for making mine easier. I wish you and your family all the best and May all your endeavours be successful ones. I would also be proud to talk this over with your boss in greater detail.